The only thing harder than saving up to buy a car, is finding out that it needs repair. This article covers car repair on a budget and what you can do to save money. 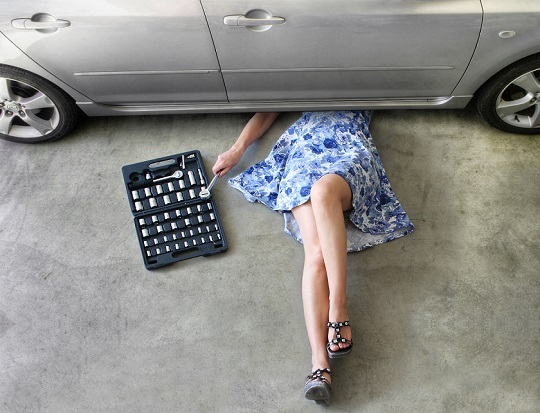 A car repair can be expensive, time consuming and something most of us aren’t so clued up on. Try not to pay over the odds for your repair parts and the mechanic. You can make some real savings here, especially if you have a friend or family member that can help you out! You can attempt the smaller jobs, such as making an oil change or replacing a bulb, saving money that you would be charged for labour by a mechanic. Oil is essential for your car to function properly – it reduces the friction wearing away the engine and moving parts. Once a month check your car’s oil level using the dipstick under the bonnet. Top it up if necessary, using the correct grade for your car and taking care not to overfill the engine. Windscreens can crack if chips are left unattended and damaged paintwork can quickly lead to rusty bodywork, particularly in winter weather. Although a damaged windscreen will need professional repair, scratched paintwork is relatively easy to touch up. If your windscreen gets chipped, most insurers will cover the cost of a repair without you having to pay towards it. Usually, your no claims discount will not be affected. Independent garages – find a local mechanic you can trust by listening to friend and family recommendations and checking online reviews, you could easily save a tidy sum on fixing your car. According to the Money Advice Service, franchised garages charge much more than independent ones for repairs – the national average hourly rate in 2013 was £95.83 for a franchised garage, compared with £60.68 for an independent one. Visit scrapyards to find replacement parts for your car, like a door or wing mirror. Pick these up for a fraction of the price rather than going to your car dealership.